What an exciting and busy day I’ve had!! 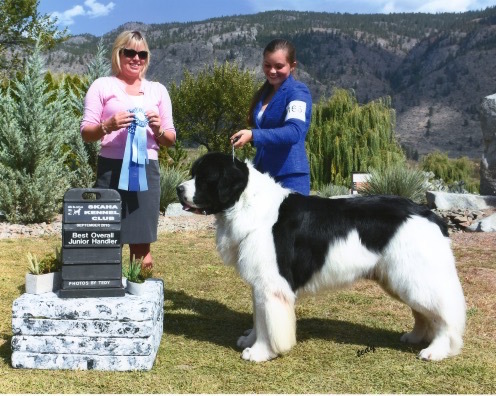 This morning I showed the Great Pyrenees, Bam Bam in the breed ring and won Best Of Breed! I was able to show him in his first ever experience being in the Working group. He didn’t place but for a young Great Pyrenees (a breed that can be a bit nervous of loud noises and being close to other dogs) we were very impressed with how he reacted being in a busy ring full of other dogs. 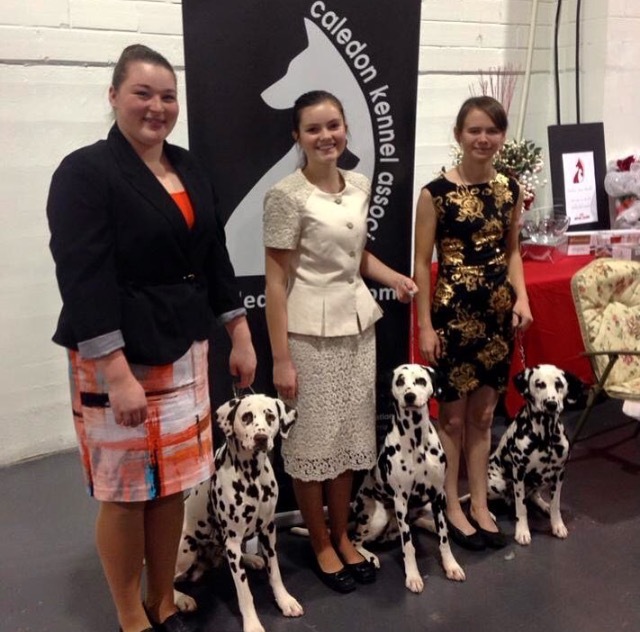 I also helped my friend Grace out with her Dalmatians again. 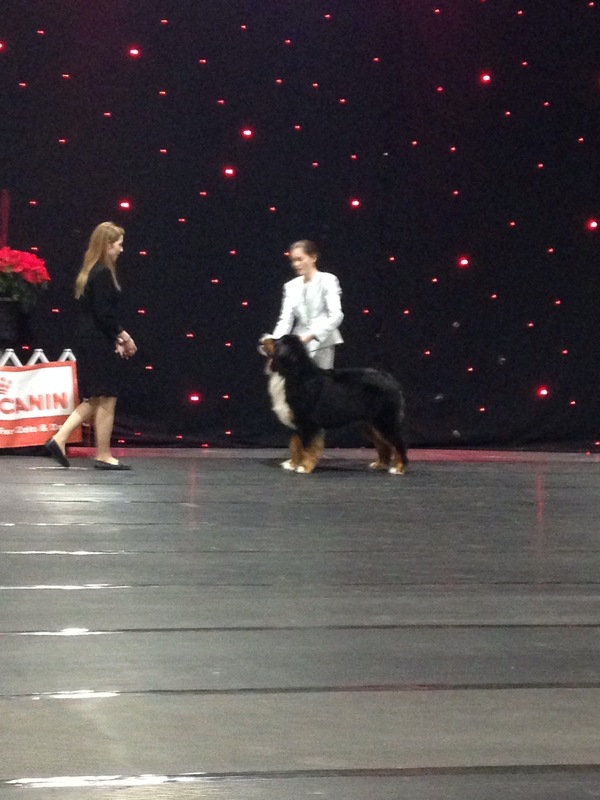 Even more exciting news… I am #4 Junior Handler in Canada! The competition went awesome this afternoon. It was very nerve wracking but exciting at the same time. 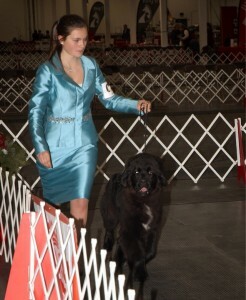 I still can’t believe I placed amongst this large group of amazing young handlers. I’m very thankful to my family, friends, and supporters who have helped me get here. 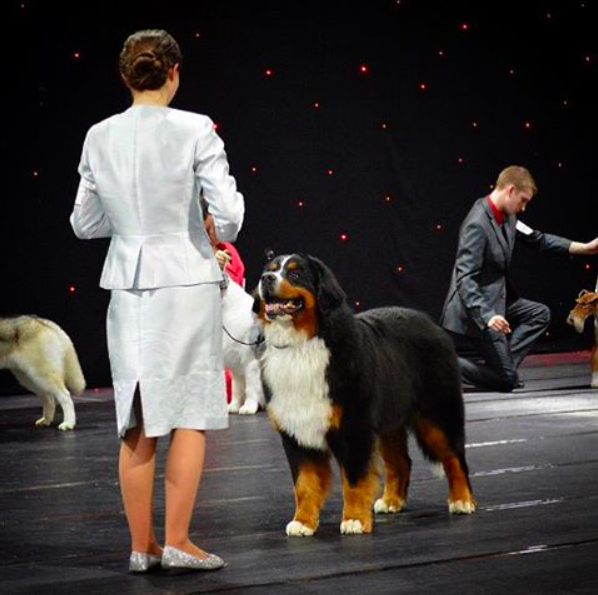 I’m especially grateful to Pamela Eldredge and Véronique Matte-Paquet, who let me borrow their Bernese Mountain dog, Romeo, for the competition. Now on my way home from Toronto tonight… I’m proud to be coming back to BC #4. The show season at home is now over for the winter, the next show I’ll be at is in February. Looking forward to a relaxing Christmas break but I can’t wait to see what the new year of dog showing brings! Last night was so much fun! It was nice hanging out with all the juniors together again, and I have made many new friends. The dinner was great and the CN Tower was a lot of fun too! It was a bit scary going up the elevator… It’s on the side of the building with a little glass floor and wall and it goes up pretty fast. It made everyone feel a bit dizzy. 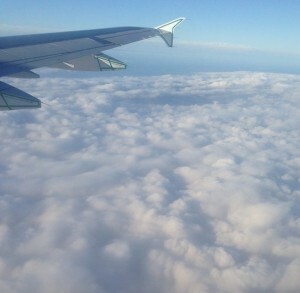 The view from the CN tower was amazing and I think everyone’s favourite part was the big glass floor inside the tower. We spent quite a bit of time standing on that and taking funny pictures on it. I wish we got more time to hangout with each other but most of us went to sleep as soon as we got back to the hotel because the big national competition is today! I’m getting super nervous but also excited. It starts at noon today. Another great day at the show. Bam Bam won Select dog again, and we won 2nd today in junior handling. He’s improved a lot in the ring from yesterday, so that made me happy! 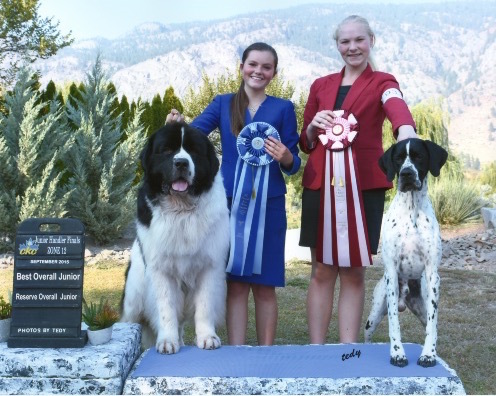 My friend Grace from Thunder bay, who I met at the last junior national I attended in New brunswick, needed help showing her Dalmatians in the breeders classic. 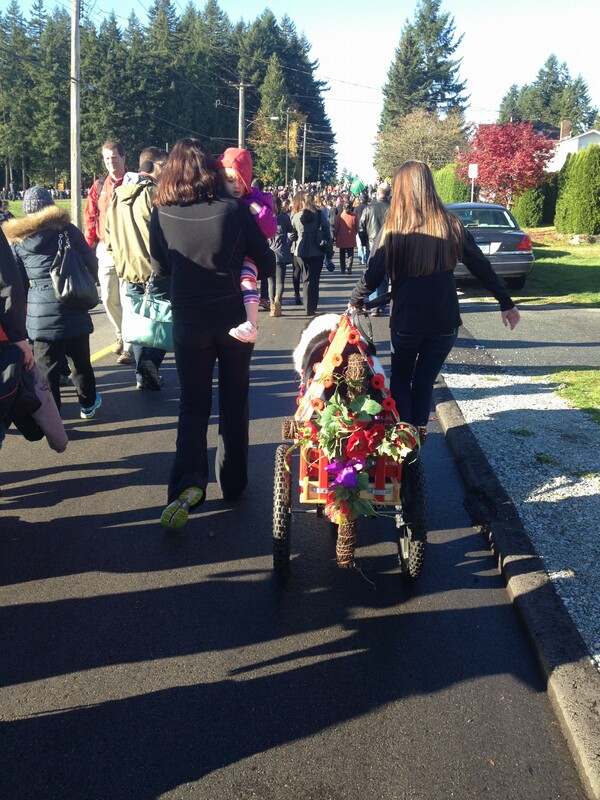 I was honoured for her and her mom to ask me to help them out. I had never shown a Dal before today but I quickly learned and I loved showing them, they’re a lot of fun! 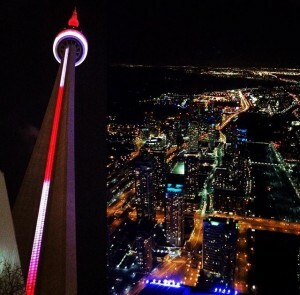 Also looking forward to tonight… All the juniors are going out to dinner together at the Baton Rouge and the we’ll be going to see the CN Tower. 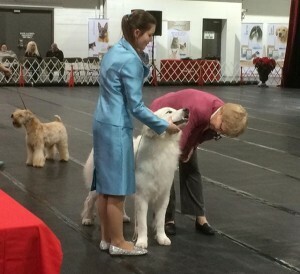 At the show today I showed a young Great Pyrenees named Bam Bam. 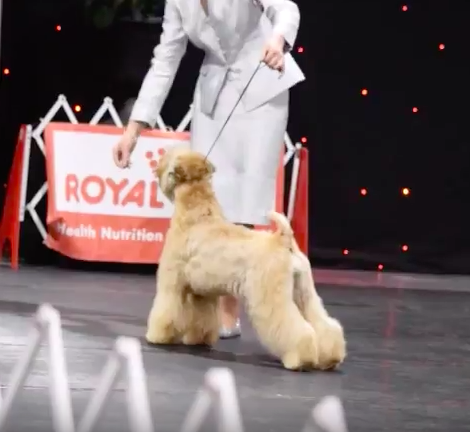 He won Select dog. I also showed him in the regular junior handling competition today and we placed 3rd. Today was my first day meeting him and showing him. He was a bit of a handful, as he’s just under 2 years old, and being a large breed, he is quite goofy and would rather play than be showing but I really like him. He is a very sweet boy, and looking forward to showing him tomorrow. 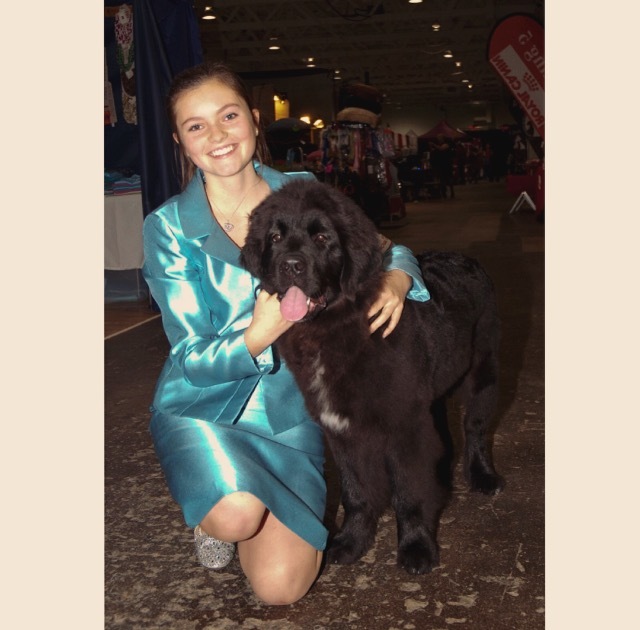 I also met some people with a Newfoundland puppy, which was really cool because I wasn’t expecting to see my breed at this show. 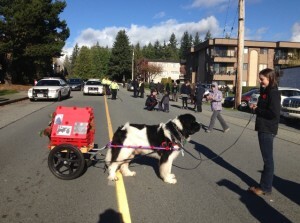 I asked them where they got their puppy, as I do know of the newf breeders in Ontario. After they told me they turned out to be total newbies to the breed and were asking me all sorts of questions from training tips to grooming, showing, and feeding. 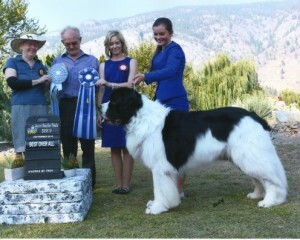 I told them that I also own a newf back home in BC and that I’m here for the junior handling Canadian final. They were very happy to meet me, as I was to meet them, and they ended up asking me if I could show their puppy for them that day. After the show this evening we had the meet and greet for all the junior handlers. We just got to hangout for awhile and did the traditional gift exchange, where we bring a gift something to do with where we are from. It was really exciting to see my friends again that I’ve met at previous nationals and also to make new friends with kids who have never been to nationals before. And following the meet and greet the junior handlers were invited to a handling clinic with professional handler, Will Alexander. I handled an old English Sheepdog of one of the lady’s I traveled with. 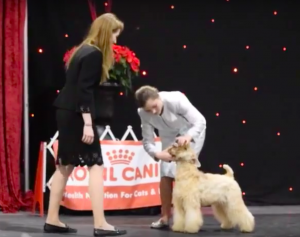 I found the clinic helpful, and I learnt a lot about this breed that is fairly new to me. I flew into Toronto from Vancouver airport this morning at 6:00am. 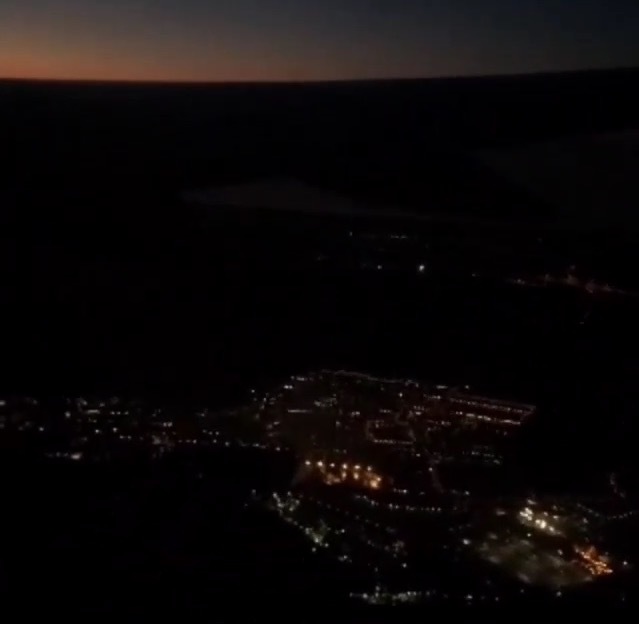 I’m into Toronto now and it’s night time here. My national junior handling competition isn’t until Sunday at noon but the dog show starts tomorrow morning and I’m with a few people here that I’ll be helping out. I can’t wait to get to the show and meet up with some old friends. Remembrance day is very important in my family and it has always bothered me that there is never much attention given to the war animals who served. I feel like many of them are being forgotten, when they should be honoured just like any other soldier. If you read about any of their stories, you’ll see how much the war animals meant to their soldiers, and to us for the freedom that we have. The war animals were very close to their soldiers hearts, they would want them to be remembered alongside them. 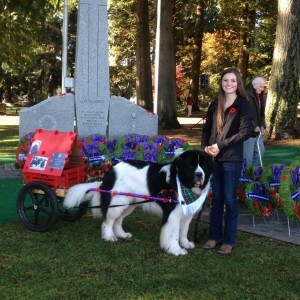 My hope is to raise awareness for the need of a wreath to be laid annually in dedication to all war animals. They also served, Lest we forget. 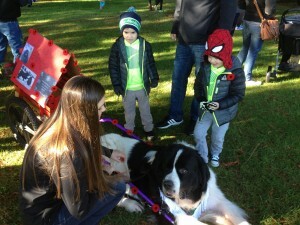 A very special Canadian hero is named Sergeant Gander. 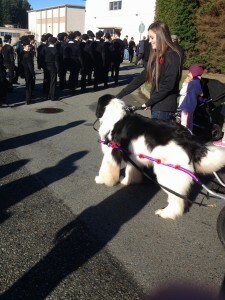 He was a Newfoundland dog who was the mascot of the Royal Rifles stationed in Gander Newfoundland. He was promoted to sergeant and in 1941 left with his unit for Hong Kong. Gander halted many attacks and protected wounded soldiers. He was killed in action carrying an enemy grenade away from his men. Many more lives would have been lost without Gander’s intervention. He is a Canadian war hero who deserves recognition, and to be honoured, not forgotten. Because I have a Newfoundland dog myself, I thought I would join a parade with him to honour the war animals, especially Sgt. Gander, who is very important to us. It was a great turn out… My dog Vedder and I got an overwhelming response from the crowds and other parade participants, as well as being a highlight to children coming to pat him along theway. Many people stopped to take pictures and pose with him. The best part was seeing the veterans smiling and waving when they saw him. Last night I won my class and best overall junior handler of my provincial zone!! This means I’m invited to represent BC in the national competition, which will be in Toronto this year! 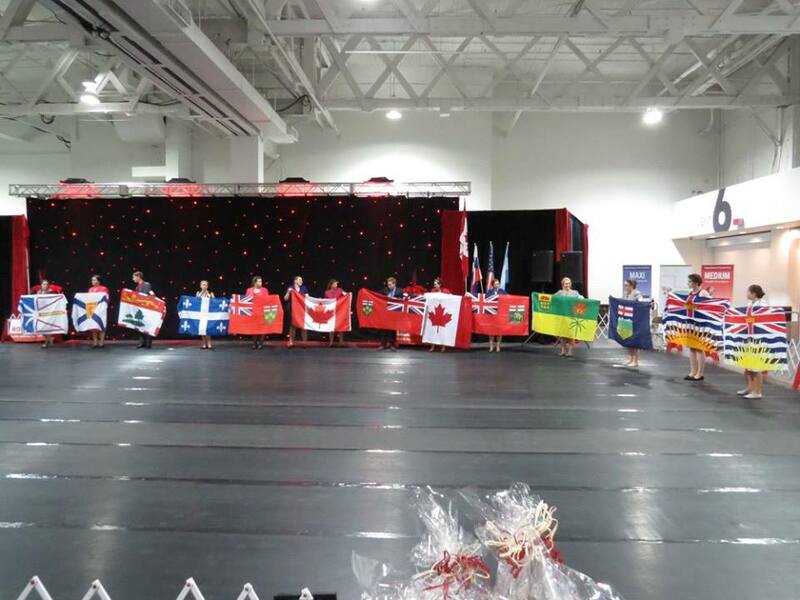 There’s a lot to figure out and organize before I leave, but I’m so excited to go back to compete at nationals and see my friends from all over Canada again. I’ve been to nationals twice before once in Ontario and once in New Brunswick, but for junior Obedience. This will be my first year competing in conformation at the national level. 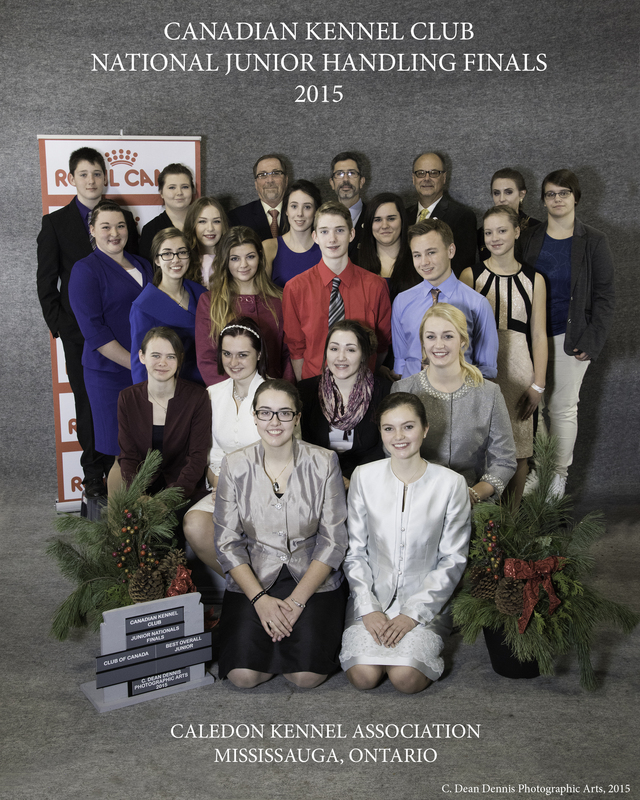 At the national junior handling competition there will be provincial winners from all over Canada. In the competition they place up to 4th and the winner moves on to the international competition in England at Crufts Dog Show. There’s around 2o kids at the national, all with amazing talent. It’s amazing to win any placements there. I’m honoured to be able to go, junior nationals is an awesome experience.